Writers On The Move: What is a Sidebar? 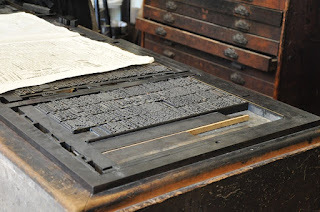 Many new freelance writers are confused or intimated by sidebars. But that’s usually because they just don’t understand what a sidebar is and what its purpose is. A sidebar is nothing more than a separate companion piece to a main article in a magazine or newspaper. Usually, a sidebar is set in different typeface from the main article, to set it apart. It may be boxed off and appear at the beginning of the article, within the article, or at the end of the article. A lengthy main article can even include several sidebars, if necessary. What Is the Purpose of a Sidebar? A sidebar can be used for several reasons. First, a sidebar can be used to encourage the reader to read the more detailed main article. For example, a sidebar can be made that lists the major points of the main article or asks questions about information that will be given in the main article as a way to entice readers to read the entire main article. A sidebar can also be used to provide additional information that relates to the main article but doesn’t quite “fit” in the article itself. For example, if you write an article about healthy eating, and the article includes recipes for a week’s worth of healthy meals, a sidebar could be created from a list of ingredients needed to make these meals. The sidebar would be, basically, a shopping list for the reader. A sidebar also serves to make the information in the main article easier and faster for the reader to read. To keep a main article from being too lengthy or too complicated, the writer might include one or more sidebars that give additional information without overwhelming the reader. Since the sidebars should make sense on their own, readers can learn a lot from reading ONLY the sidebars to an article. In fact, many readers do read just the sidebars. Here are some tips for creating a sidebar. • List additional resources that relate to your main article in a sidebar. • Create a sidebar with quotes from experts on the topic or main idea of your featured article. • Create a sidebar to explain procedures mentioned in your main article. An article about quick & easy foods to serve at parties might include a sidebar with the recipe for a quick & easy party dip, for example. • Create a quiz. An article about healthy eating might include a sidebar quiz called How Healthy Do You Eat. Editors LOVE sidebars because they can make featured articles more interesting, more detailed, and more helpful to readers. Now that you know all about sidebars, be sure to include a sidebar idea with your next magazine query. 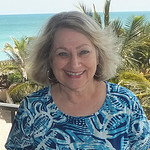 Suzanne Lieurance is a full time freelance writer, author, speaker, and writing coach. Get your free subscription to her Morning Nudge for writers now at www.morningnudge.com. Suzanne, this is great information. Knowing about things, in this case what a sidebar is and how to create one, makes them less intimidating. Thanks for sharing this! Sidebars are really valuable to our attention starved readers. The eyes just go right to them, so writers need to know how to use them. Thanks Suzanne. I love sidebars and I know most readers - and editors - do, too, so I hope this information is helpful to those writers who've never tried to write a sidebar. It's easy and fun! I love sidebars too and it's a great way to add information that may not fit into the story. Ditto on loving sidebars! They're super space savers and helpful to readers. I know they are to me. Thanks, Suzanne, for the good information.